For our Monday, I’m making you a really bland and colorless side dish. Just kidding. 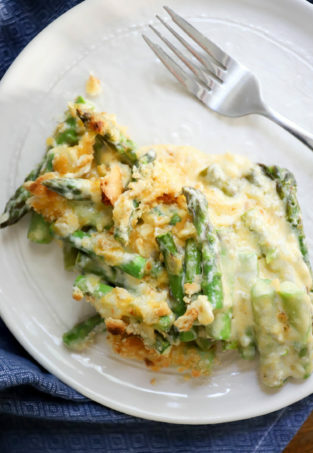 Colorless, yes, but this is very easy and packed with flavor so….maybe perfect for a Monday? I made this yesterday for my mama for Mother’s day. What’d you do for your mom? My sister Emily got her a waffle iron and my other two sisters got her some sweet pottery so….my “gift” of dinner was lame, but still kind of delicious. We hope she had a good time with all of her peeps. This side dish, though. It’s good. Really good. 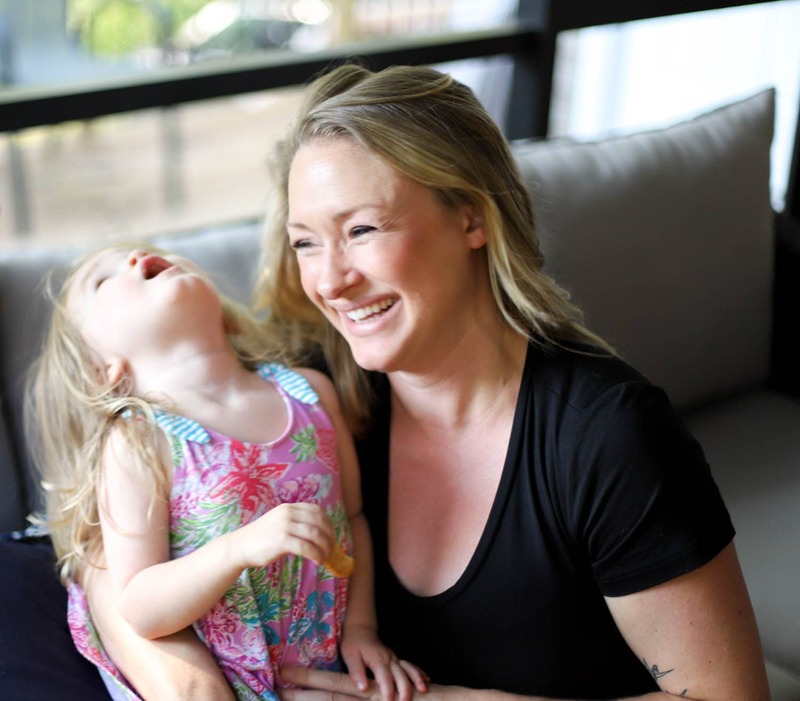 I’m writing the printable just as I did it, but you could substitute any grains or rice-like things you like: quinoa, orzo, regular rice….anything! Just cook whatever you use separately since the cooking times will be all different, then mix ’em together at the end. 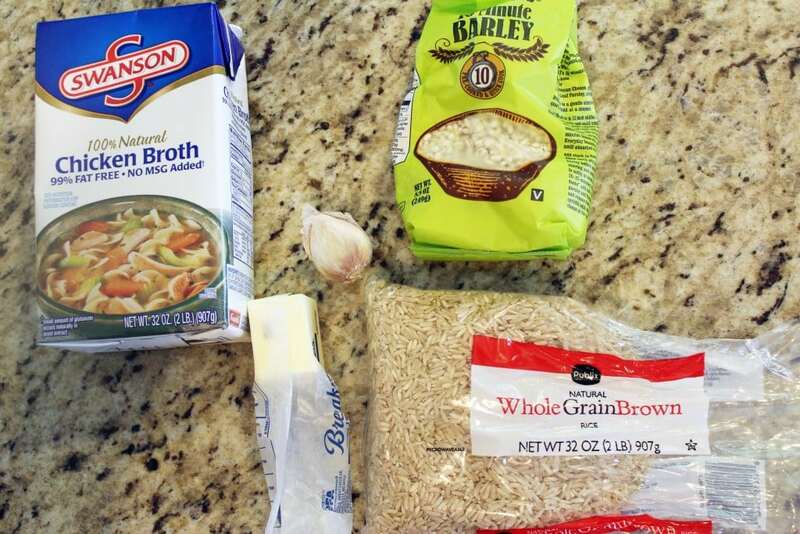 You need brown rice, barley, garlic, chicken stock, and butter. Easy stuff, kids. 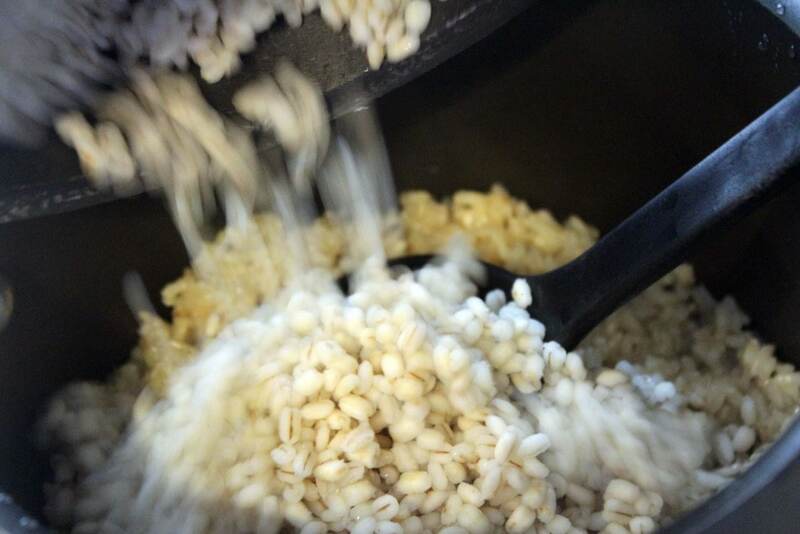 First, we’ll get the brown rice started since that takes the longest. 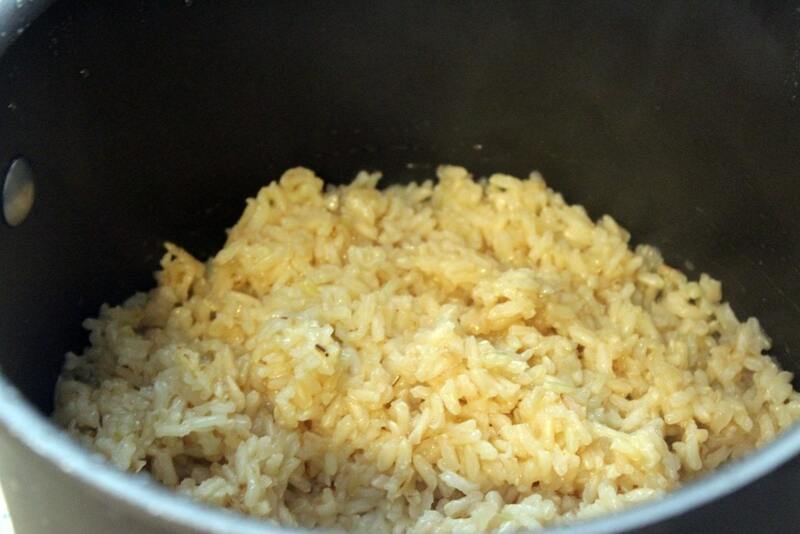 Add a pat of butter to a pot, and pour in the rice. 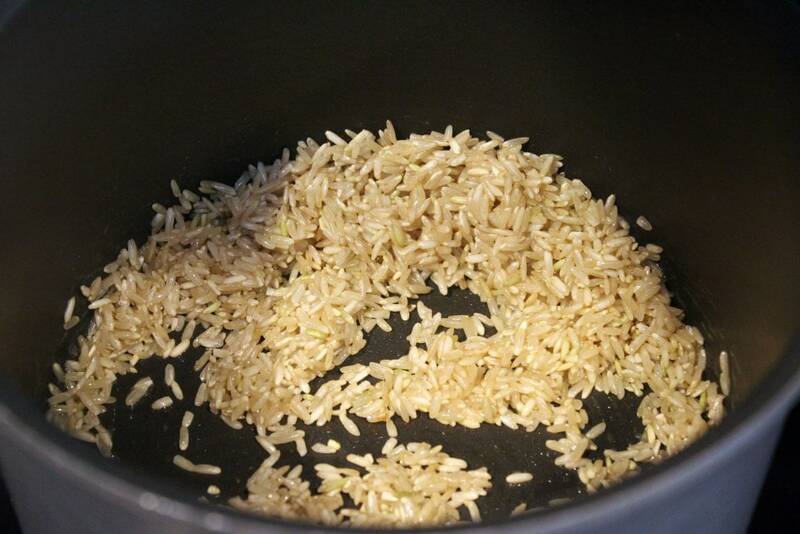 Stir the rice for a few minutes until it gets brown in spots. 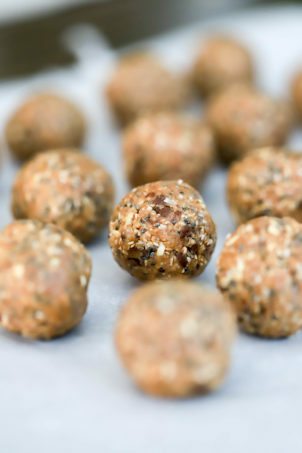 Then, add in stock instead of water – this gives a very nice flavor to the dish. Cook the rice according to the package directions. While that’s happening, cook the barley in water – however the package directs. Then we have cooked grains. Good job! 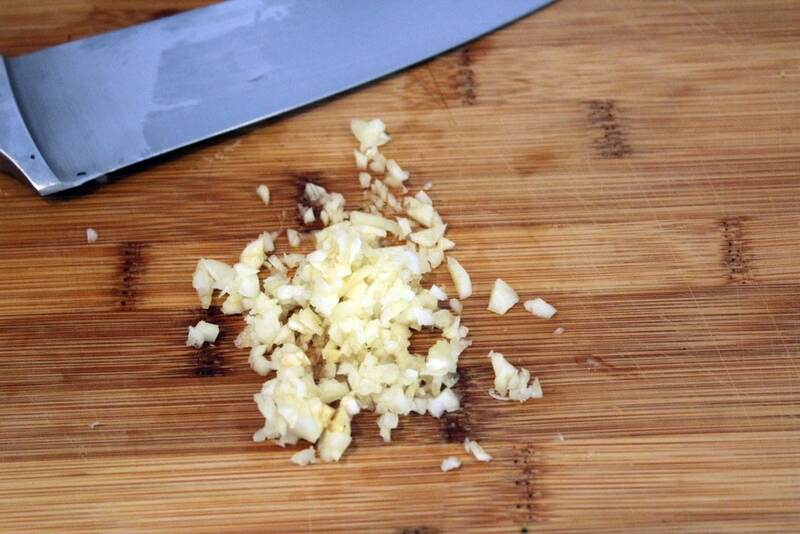 Now, finely mince the garlic. Since we’re using it raw, one clove is plenty! Add the grains all together in a large pot or bowl. Then, add the garlic and another pat of butter. Stir everything together and taste – add some salt if you’d like! My brown rice was pretty salty from the chicken stock, so I didn’t add any more. That’s it, guys. 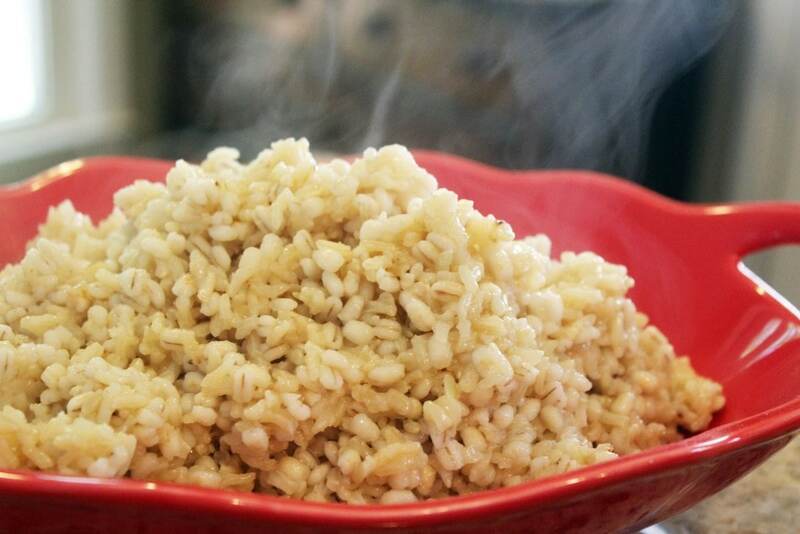 This is REALLY flavorful from toasting the rice first and the garlic, but so simple. Just be sure to time the rice and barley! 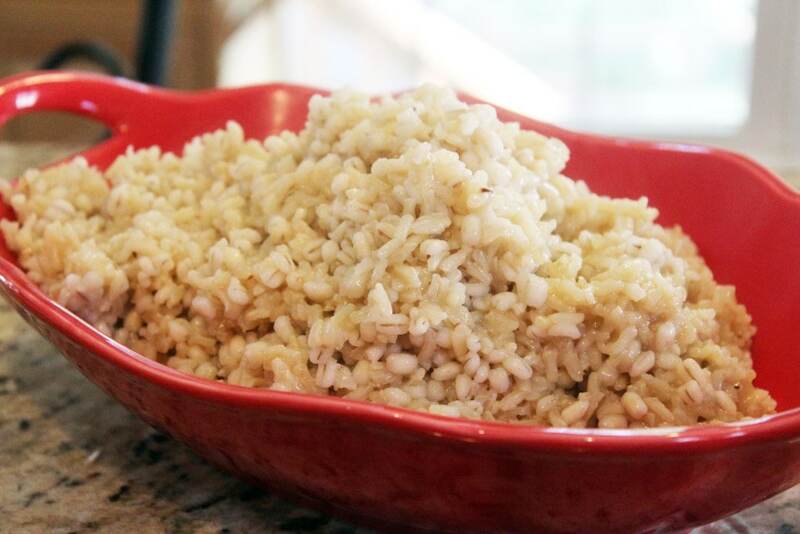 This sits nicely, so you can make it in advance and heat it up when you’d like to eat, or you can start the rice and make the rest of your dinner while it cooks – brown rice takes 45 minutes or so unless you have some fancy quick-cooking kind. In case you were curious, I served this to my mama last night with this spinach, this chicken, and a tomato cream sauce that I’m going to tell you about very soon. It was a fabulous meal, and if you haven’t yet you HAVE to try the lemon chicken. Just do it. You could serve this with anything, though – maybe with a bunch of country vegetables like I did in this meal? Just a thought. 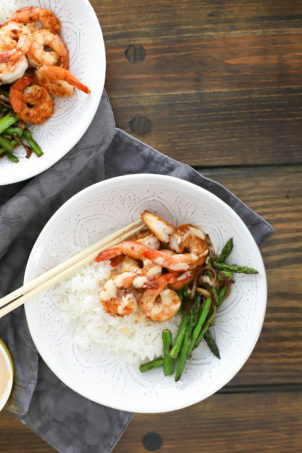 You’ll love this, and you can make it slightly different each time you make it. Enjoy! 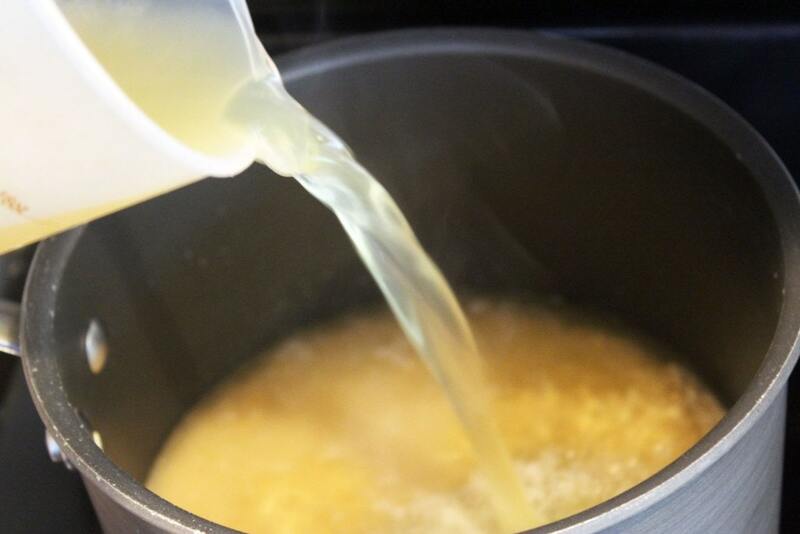 Preheat a pot to medium-high heat with half the butter. Add the brown rice, and stir to coat with the butter and toast for 2 minutes or so. Add the chicken stock, cover, and cook to package directions. 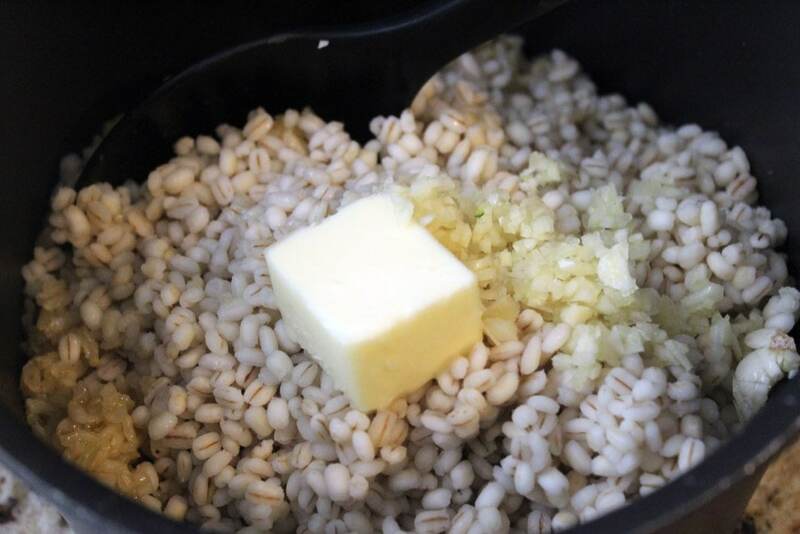 Meanwhile, cook the barley in water according to the package directions, and mince the garlic clove. 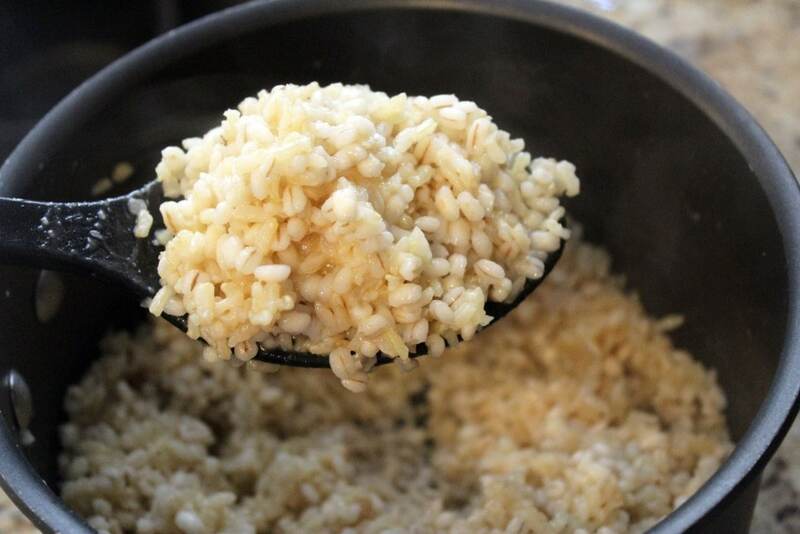 When both grains are cooked, combine together with the remaining butter and garlic. Stir, and taste - add some salt if you'd like! 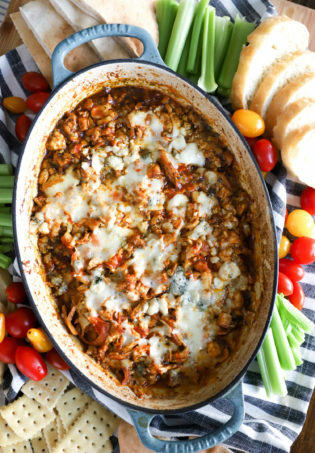 Serve with your favorite protein and veg for a great balanced meal.